The term “cottage” means something different to each of us. I think of my grandmother’s house as a cottage. She had a large walnut tree in the side yard, a porch swing, and small intimate rooms. I can still see her crisp white curtains being blown by the breezes whenever she opened the windows every spring. There is something magical about a cottage. Remember Snow White going to the cottage and living with the Dwarfs? The little house with smoke curling from the chimney and picket fence surrounding it was called a cottage in the woods and really was the first time I remember hearing the term “cottage.” Today, cottages vary from a very traditional farmhouse appeal to ultra-modern in decorating style. But each type celebrates small-space living. Southern Cottage gives us a glimpse into some wonderful homes in the South. I love being inspired by the creativity of people and getting great ideas from looking at their work. Cottages today are far from just a vacation home concept of the past and have become primary residences of choice that come in all sizes! What is your ideal cottage? I remember going to my grandmother’s house and the small little rooms in her house. They raised 7 kids and one grandchild in the house that my grandfather built. Every spring or early summer my grandma would have a large brandy type glass filled with water and she would put one of her beautiful peonies in it to float. Something that I have recreated in my home. French Garden House…. I’am jealous!!! A cottage filled with French Antiques! Heaven to me! How wonderful is that? Cottages means home to me… I love the feel of a cottage and if I had a choice of a grandioso home or cottage style, I would say a cottage! It is more intimate and homey! 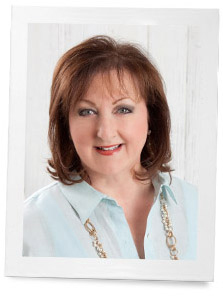 I LOVE my Cottage Journal….I save them year after year and sooo look forward to their arrival!! I think of our home as a “Cottage” because I hope when someone enters they feel happy and welcomed. 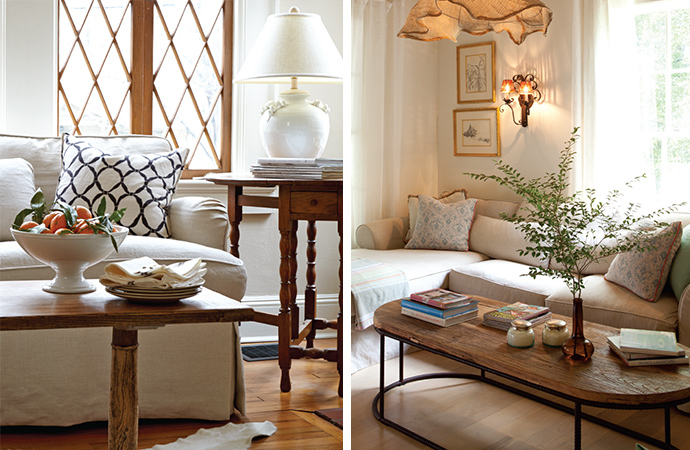 Cozy, warm, bright, cheerful and welcoming…always the words that come to mind when I hear “cottage”. When I think of Ireland…. That word comes to mind again. For the people and places there were warm welcoming and friendly. Your Cottage Journal is filled with just that! And I’m sure the Southern Journal will be too. I am a great-grandmother, and remember my grandparents using a carpet beater on the carpet on the clothes line, changing out the numbered storm windows for the screens, making donuts on the black iron stove, standing on the grate between the living and dining rooms so my skirt would blow out. Nice memories. Our home for the last 30 years is small enough to be termed a cottage; however, when I dream of a more spacious home, I remember seeing wall art in a tiny home that read, “A small house holds as much love as a big house.” So true! Cozy, intimate, warm, and inviting are the first words that come to my mind when I hear the word, “cottage.” How charming that the cottage featured on your cover manages to evoke all of those words—and yet it’s mainly pristine white! I love the way white acts as backdrop to focus more attention on wood, accessories, and texture. Cottages are more than anything, a place to call home. Filled with laughter, love, and family and friends. Our own home is smaller, a California cottage filled with French antiques. 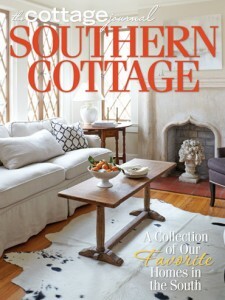 I can’t wait to be inspired by Southern Cottage, Spring is the perfect time to refresh my home, perfect timing!